Are you new to boating? Or are you an expatriate and new to boating in Asia? Or are you just interested in the boating lifestyle? 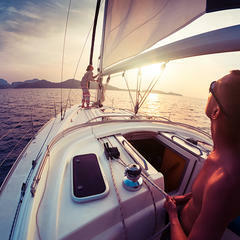 • Thinking about whether investing in the boating lifestyle is a good idea or not for you and your family? • Looking to avoid the pitfalls and challenges in Year 1 of an unfortunate boat buying decision? Register now for this FREE live event online, 8pm (GMT +8) on the 26 September 2018. Register early to avoid disappointment. 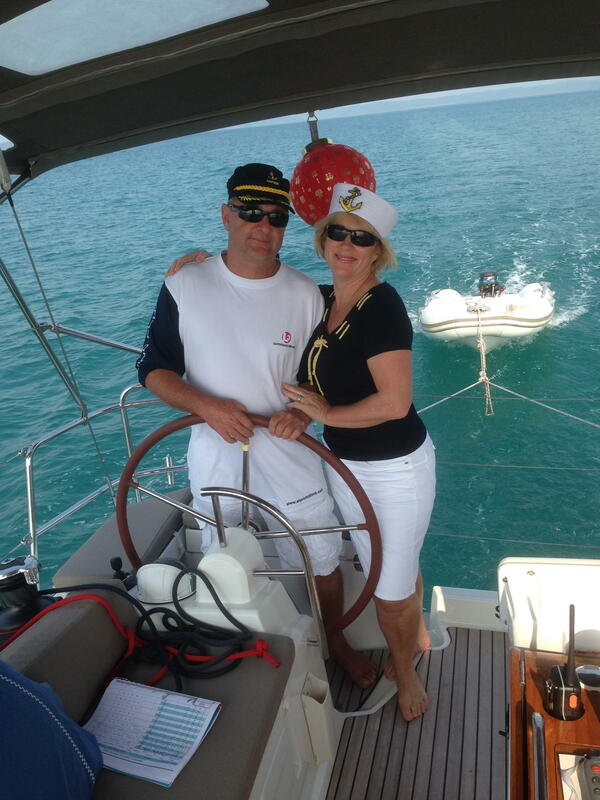 William & Dione Schick will be sharing tales from their 30+ years in the leisure boat industry (and recent "interesting" industry examples) and giving insights on how to get started on the boating journey, without making costly boat buying mistakes. A Unique Family Lifestyle, Without the Year One Challenges; An Insider's Cautionary Tale. - Plus Learn "The Top 3 Things Boat Dealers Don't Want You to Know" when buying a boat - bonus cheatsheet. - And how to work with these 3 things and still come out on top without the high stress and uncertainty of brokers. You can only learn this by registering for this online event and only the first 20 signups with get access to this bonus cheatsheet. William & Dione Schick, Co-Founders BASCO, Boat Advisory Services Co. Join us online for this special and informative event. 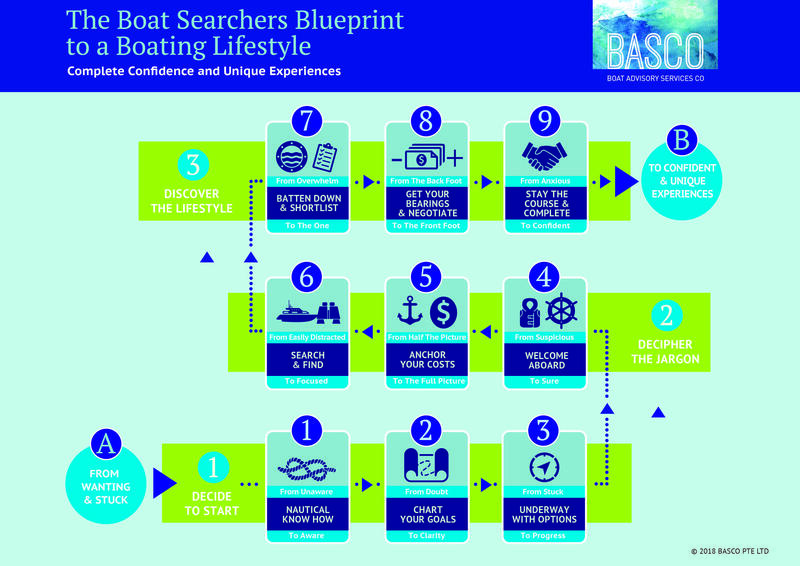 BASCO helps aspiring boating families achieve complete conﬁdence in their purchase decision so they can create memories of a lifetime and unique family experiences, without high stress and uncertainty of brokers. Cut through overwhelm and uncertainty with a clear step by step path. Did You Know? BASCO has no boat dealerships, no inventory, no boat agencies and we don't list boats for sale (no brokerage). We do provide boat searchers, boat deciders and boat buyers with independent and trusted advice that takes risk and uncertainty out of boat ownership. 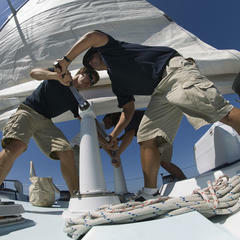 We also work with 2-3 boat owners each month selling their boats faster with BASCO's Online Auction Sales Strategy. "“BASCO provided clear and concise advice, which was well grounded and perfectly fit my request. BASCO's genuine interest in boating and the satisfaction of their clients is completely obvious in every interaction. All communication was clear and prompt. I have no hesitation whatsoever in recommending BASCO to any customers considering boating transactions, technical services or advice, and hope to have more dealings with BASCO in the future.” "
"“William from BASCO unraveled the imagined difficulties I saw in buying a boat in a foreign country and made the transaction seamless. William went on to support me in providing suitable suppliers for the services required to maintain and prepare the craft for departure. Another very satisfied customer.” "
"It was a pleasure dealing with BASCO, a pleasant, informed experience. BASCO is well placed to grow with this market and has the people, focus and agility to succeed. I recommend boat sellers and buyers to engage with the BASCO team. Happy Boating"
Download the 'Boat Searcher's Blueprint to a Boating Lifestyle' if you want to know more about Getting Complete Confidence in a Boating Lifestyle Decision, without Complicated Stress and Uncertainty of Boat Brokers. Download it now!